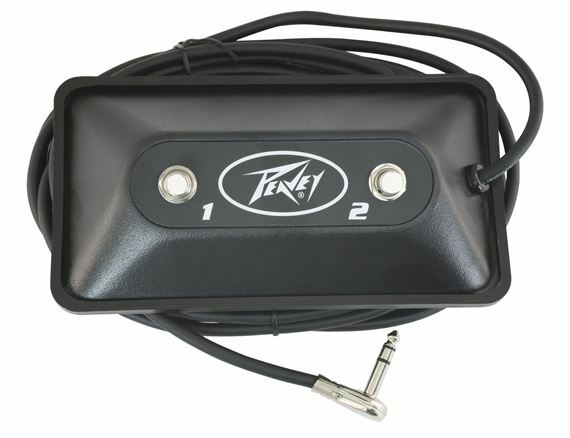 Shop Peavey 2 Button Stereo Guitar Amp Footswitch from AMS and enjoy Fast & Free Shipping. The Peavey 2 Button Stereo Guitar Amp Footswitch is a must have accessory for owners of Peavey amps including Bandit 65/75/80/112, Special 112/130/150, Studio Pro 112, Envoy 110, Bravo 112, Classic 30 Head, Classic 30/112, Classic 50 Head, Classic 50/212, Classic 50/410 Classic 100 Head, TransTube Envoy, Protege. This footswitch allows you to change channels on your amp hands free! great footswitch. . .works seamlessly with my peavey classic 30. . .fits on pedalboard perfectly. My old one died and I was glad to see they still had them. I have been looking for this switch for some time. Was a good price was on sale at the time.